During the highly competitive initiation that follows, Beatrice renames herself Tris and struggles to determine who her friends really are—and where, exactly, a romance with a sometimes fascinating, sometimes infuriating boy fits into the life she's chosen. But Tris also has a secret, one she's kept hidden from everyone because she's been warned it can mean death. And as she discovers a growing conflict that threatens to unravel her seemingly perfect society, she also learns that her secret might help her save those she loves... or it might destroy her. Before beginning this novel, I had already heard and seen so many wonderful things about it. I had very high expectations, and I couldn’t wait to discover what all the fuss was about. Now, having finished Divergent, I’m having a hard time deciding whether the book met my expectations or not. Some parts of the story blew my expectations out of the water, while others disappointed me slightly. One thing is for sure- this is not your run of the mill dystopian novel. So many unexpected and refreshing elements are introduced, and I was fascinated. I couldn’t get enough of the idea of the factions and their different lifestyles. My favorite faction was Dauntless, hands down. The idea of living with no fear, of embracing life and diving in head first captivated me. 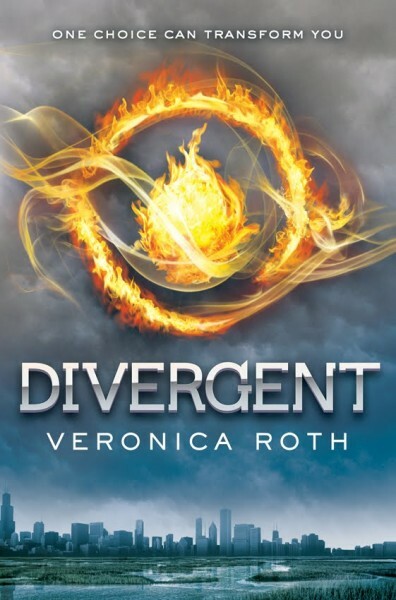 Tris is a feisty, incredibly smart character. Although I may not have always liked her decisions, I had to admire her rock-solid backbone and will of iron. Four, one of Tris’ trainers in her new faction, was my absolute favorite character. He embodies so many of the traits that I respect. He is a combination of all the factions- the selfless and the intelligent, the honest and the peaceful, and of course the brave. How could I not love him? The number one thing that disappointed me in Divergent was the ending. There were several parts in the climax that had me wishing things had taken a different path. Still, when I compare the number of original, enthralling concepts to the select few parts that bothered me, the positives outweigh the negatives by a landslide. If you, like me, have been waiting to give this book a shot, then I’d recommend that you go for it. We're feeling the same way: high expectations, so it's bound to disappoint a little. That said, we still want to read it, and we appreciate your review for giving us a better sense of what we're in for!